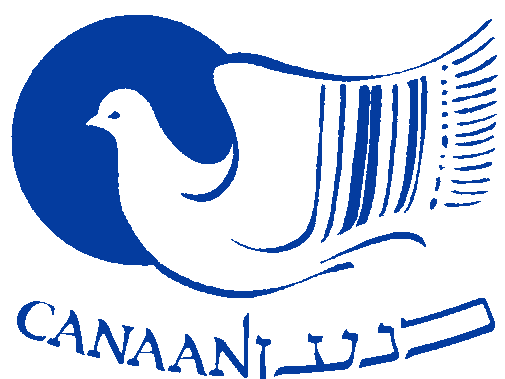 Canaan Gallery was established in 1992 by Yair and Orna Mor. Both innovative and inspired, they tried their hand at making a name for themselves amongst the resident artists of Tzfat. Orna, trained in the ancient art of weaving, started building her dream in a small room, creating a scarf at a time, until destiny literally came knocking on her door. After seeing her skill and artistry, a man asked if she would be able to weave for him a tallit. It was in that moment she felt a calling. Orna and Yair envisioned they could bring new life and beauty to this time-honored tradition of Jewish life, and where better to do that than the very place where art and spirituality meet. Word spread, as did interest, and it wasn’t long before Orna and Yair needed more space for their creative efforts, moving from that small room into their own gallery. With a growing demand and a growing family, they needed help. But for Orna and Yair this was no small task. It’s not as simple as just teaching someone to weave, its handing down a craft, an investment for both parties. It was, and is, of utmost importance to the Mor family to bring in people that work with intention, passion, and integrity; especially when creating something as meaningful as a tallit. It is believed and practiced here, in Canaan Gallery, that our creations are affected by their environment and the energy and emotions that surround them. With this kind of commitment to their craft and purpose, Orna and Yair haven’t just built a business, they have built a thriving family. We boast a proud team of 12 talented people working together to create, not only beautiful things, but a beautiful experience for our patrons. You need only visit our shop and studio to feel the warmth and camaraderie woven, expertly, by the Mor family. Orna and Yair’s legacy has not only been gifted to those who work with them, but also to the next generation, keeping alive the craft of hand-weaving, in a city whose spiritual renaissance was supported by this very trade.